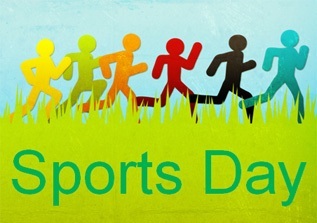 This year our Sports Day will be held in Term 1, Week 8 Friday 22nd March. When students start school at Craigburn they are placed in a sports day team being Bradman (Blue), Fraser (Green), Riley (Red) or Woodforde (Yellow). Year 7 students have a leadership opportunity to nominate for sports day leaders for each house team. Two boys and two girls will be chosen for each house team to be Captains and Vice-Captains. The students who have nominated will be presenting speeches outlining their leadership skills to their peers on Thursday 21st February. The sports day captains will then work together to organise chants, health hustle and house meetings in the lead up to Sports Day. In Week 5 on Tuesday 26th February there will be run offs for the Year 3 – 7 students for the sprints and relay championships which take place in the afternoon of sports day. Students to wear appropriate footwear on this day. All family and friends are welcome to attend Sports Day. More information and a timetable of the day will be provided closer to the day.